You know the feeling when you open up the wardrobe and everything is messy, falling out and in no order at all? It takes time, which you don’t have, to pick out something to wear. Trying on clothes which are too small, too big, or just not quite right. Ending up wearing the same outfits over and over because you know they fit and are comfortable. And lets not even talk about shoes! The red ones, the blue ones, the trainers which rub, the converse with a hole in but that you keep just in case you need to wear them for ‘that’ occasion, you know the one that never seems to come. Feeling such overwhelm every single day, I’m presuming everyone wears clothes ;), can be exhausting. It can affect self esteem, stress levels and cause anxiety over appearances, none of which amount to a happy life. This is where transitioning to a minimalistic capsule wardrobe can be useful both practically, and can improve emotional and mental health. A minimal wardrobe is not a plain white and black wardrobe, which is beautifully curated and aligned with 6cm between each hanger. For some, this may bring joy, yet for the majority this is unattainable! Once again thank Instagram and Pinterest for the expectations!! A minimalist wardrobe, only includes the items which fit, you love wearing and ideally go with more than one other item in the wardrobe. 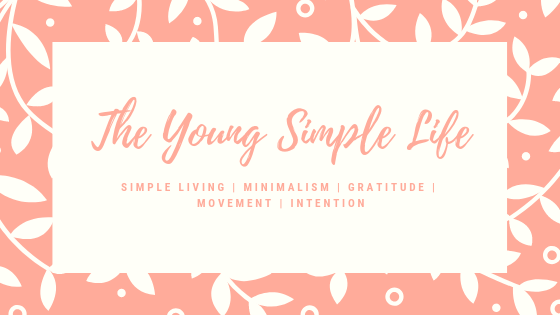 Before we move on to HOW to get a minimalist capsule wardrobe, I want to share some of the benefits which I have found on embracing a capsule wardrobe. It saves so much time! Simply having less clothes means picking out what to wear is easier. As someone in the UK, we unfortunately don’t have a walk in wardrobe, and are limited with space. It is so much clearer to see everything when it is visible and not squashed in with no room to move hangers! Feeling amazing (or at least okay if its a crappy day!) in what you’re wearing. When everything is clothes you love, it automatically, improves your self esteem. No more anxiety about jeans which are too tight/too big or the top which makes you feel fat! Win-win! So much less laundry to do! I only wash clothes twice a week instead of every day. I’m lucky that both my boys are past toilet training and can wear the same outfit all day. My capsule wardrobe also doesn’t include anything which cant be washed in a mixed colour wash- no white t-shirts! Obviously there are some exceptions such as coats and M’s white dress shirt. Everything goes together! I researched what colours suit me, and analysed which items of my wardrobe suited my complexion. This means that most of my clothes are of a similar colour pallet, and im able to mix and match outfits. I’m doing my part for the planet. Constant consumption means more waste, a strain on the environment and unethical working conditions for many. Although im beginning to buy ethically sourced clothes, even just buying less and ending the consumeristic culture causes an impact. Finally, it saves money. I used to buy things just because they were on sale or on offer. Now I know when I need to replace things or if there are gaps in my wardrobe. Now we have assessed the positive benefits of a capsule minimal wardrobe, lets see how to get there! In order to curate your clothes, it is important to get rid and donate the clothes which you never wear, have been worn or are broken or damaged. I’m going to share some tips which I have used to minimise and declutter the clothes and shoes which I had acquired. The initial purge! Get two black bin bags. One for the bin for those clothes beyond repair or the shoes worn to death. The other for the items to donate. Go through and be truthful to yourself about whether you have worn the items in your wardrobe for the past 12 months. This process is great for minimising the sheer volume of clothing which has accumulated. Remove multiples! I’m not saying only have one pair of jeans, but if you have 16 pairs, maybe that’s a little excessive! Work out how much laundry you do and how many outfits you need. I wash clothes 2x week so hypothetically, I only need 4 outfits! Be ruthless! The hanger trick! I use this trick throughout the year. Especially due to the weather changes in the UK. Turn all your hangers backwards, the opposite way you would usually hang them, then set a time frame. Currently I use a 2 month cycle, if I haven’t worn it in two months I know I probably wont wear it (this only applies to my daily clothes and not formal clothes etc). Around 6 months is usually a good time frame- long enough to grasp a really good idea of what you wear. Find your key style! What do you need for your day to day outfits, comfort, professionality, or is your uniform provided? As a mum and student I have a pretty relaxed style, comfort and practicality is important for me but I also like to make an effort. When I go to work, I have a specific uniform, so that is separate to my daily style. Aside from few things I wear for special occasions or going out, I only keep things which are part of my core style. I hope reading this you are inspired to take up the challenge of minimising, decluttering and cultivating a minimalist wardrobe. There is so many benefits of owning what you need, and loving everything in your wardrobe. It has been the best decision I have made and one of the most noticeable in our quest to simplicity! I’ll share on another post, how I minimised our two boys wardrobes! So let me know how it goes! Share your pictures and tag me in them. I’d love to know how it impacts your life and the benefits you find.